The only true suite at the inn. A high-backed love seat creates a cozy sitting area in front of the fireplace in the sitting room. 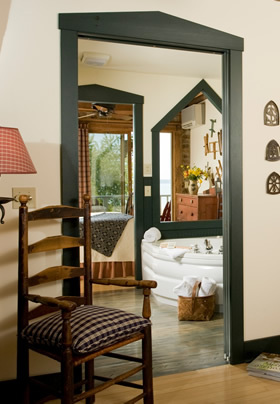 The adjoining bath boasts a view of the fireplace as well as the harbor from the whirlpool through a false window between bedroom and bath.